I've been a work-at-home woman for the last four years now. And one of the tools that has been instrumental to my WAHMing has been my blog. I began blogging when my son was an infant, and through my blog, I've gotten hired as a home-based worker. From my humble beginnings as a part-time content writer to my current occupation as a WAHM mentor and blog coach, blogging has enabled me to launch into the work-at-home lifestyle effectively. How can a work-at-home woman use her blog to get the clients she needs? 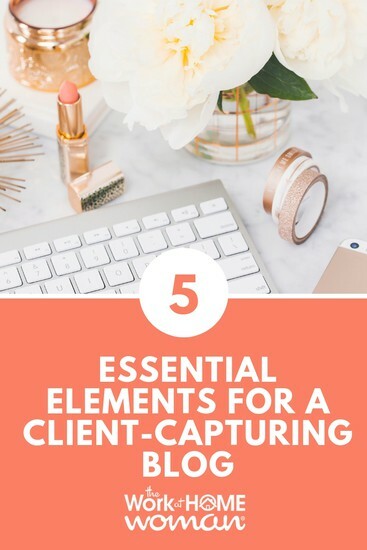 What are the essential elements for such a blog? 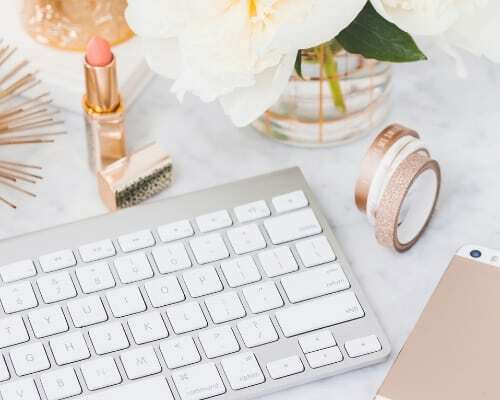 Based on my personal experience, here is what I believe are the components every WAHM blog needs, if a work-at-home woman or mom wants to get clients through her blogging platform. 1. A clear and distinct message. A blog these days is more than a memoir or journal. Blogs are powerful tools that can communicate our beliefs, our convictions, our outlook on life, business, and advocacy. 2. A solid brand identity and design. Believe it or not, blog design does matter. A blog is a visual and content representation of who you are. The design of a blog should reflect the message of your blog, too. For instance: If you offer graphic design services, make sure your blog design is the BEST example or “case study” of a design job. Or let's say you are a work-at-home accountant: Your blog should reflect the reliability of your services, and the professionalism, too. The colors, fonts, the styling of your blog should be consistent in your other social media platforms, too, so that people can identify the visual elements of your brand to YOU and your services. 3. Easy-to-navigate categories and menu items. If you want to use a blog to amplify your online presence and get clients, then your user interface has to be as clear and solid as your brand message and brand identity. You should also have a navigation item that lets readers browse your blog content by topic, so that they can read exactly what they want to read. Keep your categories well-defined, concise, and specific. For example: Don't use a “miscellaneous” or “random” category; make sure your blog posts fit into your core categories. 4. Blog entries that are informative and engaging. Blogs are tools that help us speak to our potential clients. Our posts should strengthen our brand message, so that people will find value in what we offer. Say, for instance, you want people to hire you as a social media manager. On your blog, you should be blogging often about social media trends, management strategies for social media accounts, and other related topics. This way, potential clients know that you have some expertise in the services you are offering. Also, remember to answer comments, if people have any about your blog posts. Engaging your readers can spell the difference between getting hired or getting forgotten! Now, this is something not everyone may be comfortable with. However, having a photo of yourself on your About page of the blog is very helpful to your potential clients. It humanizes your blog, and puts a face to those services that you are offering. It's wise to invest in a good photo that shows you in your best form! Remember, people want to hire someone who is confident and clear about who they are, what they offer. Related Content: How Old is Your Professional Headshot? Schedule a Photo Session ASAP! These are just some essentials that have helped me personally, as a work-at-home woman who has found work through a well-maintained personal blog. If you would like to use a blogging platform as a tool to get your skills and capabilities out there, then perhaps these tips can help get you started on the right note, and put you in front of people who'll want to work with you! Martine de Luna is the director of Martine de Luna, an inspirational business suite comprising a blog and live training events for work-at-homemakers. The WAHMderful Life blog and workshops are designed to inspire and equip mothers and married women to work from home, profitably and with intention. Martine began working from home as a freelance copywriter, and eventually ventured into blogging; her lifestyle blog, DaintyMom.com, has received accolades internationally, including an award for Best Home and Parenting Blog at the 2011 Philippine Blog Awards. Today, Martine runs a boutique consulting service, which offers mentoring for mom bloggers and work-at-home women. She also conducts writing workshops for women, writes marketing and communications copy for small-to-medium businesses, and offers web design services for SMEs. Connect with her at Martine de Luna Creative Services and the WAHMderful Life website.